This Yellow One Eyed Cartoon Character is awfully cute and a bit familiar huh? 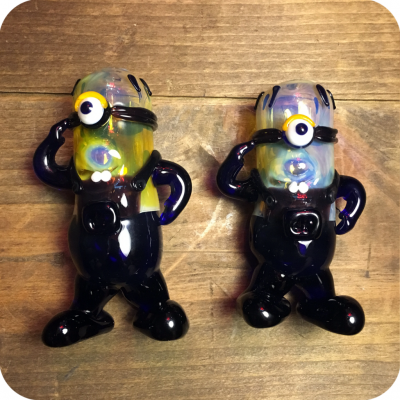 This minion pipe stands up securely on its two feet, and measures out to about three and a half inches tall. This means it could function as an on the go pipe if need be. 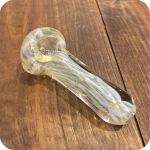 To use, simply pack the bowl with your favorite legal herbs, or smoking tobacco. Put your finger over the carburetor, light the bowl and inhale. When it is time to clear the smoke let go of the carburetor. It is as easy as that! 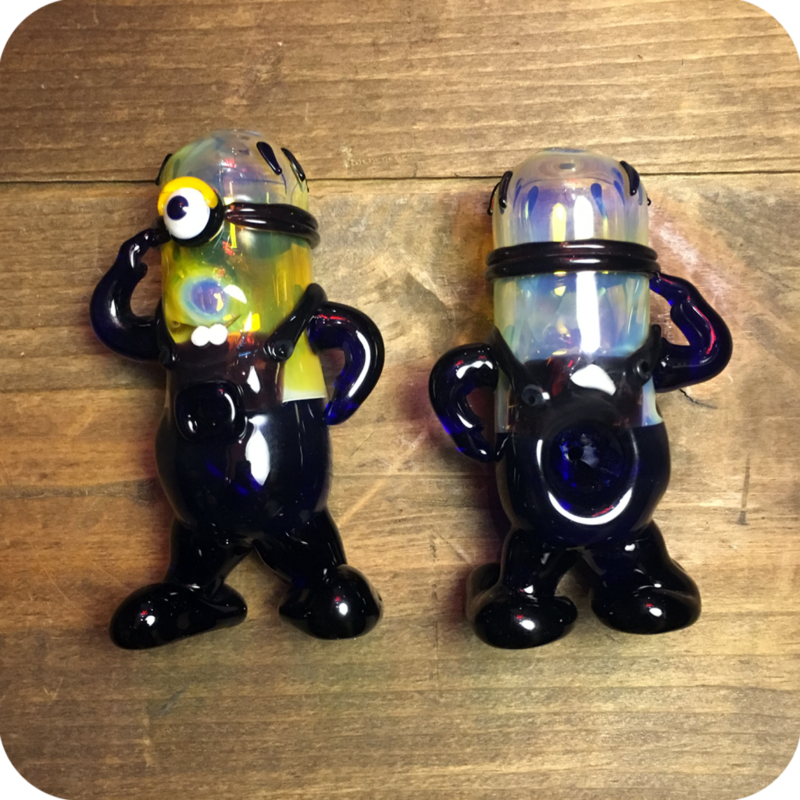 The Yellow One Eyed Cartoon Character is the perfect pipe that does not even look like a pipe. You can easily fool your friends into thinking it is a coffee table knick-knack. While your here do not forget to grab some Formula 420 Cleaner. 420 Cleaner is a cleaning solution trusted by smokers all over the world. Use it to keep your Yellow One Eyed Cartoon Character clean and in top working order! Finally, do not forget to swing by either one of our two Brooklyn store locations to see what else we have to offer! 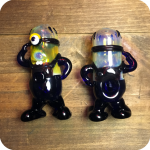 We are always stocking up on awesome new products, and have something for every smoker! 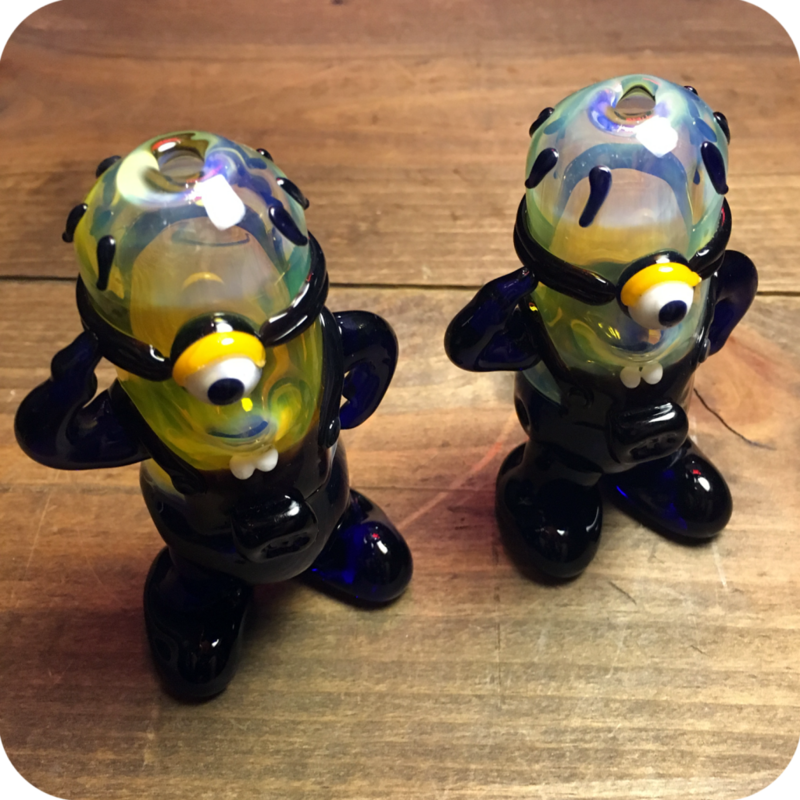 Tags: animal pipes, Character Pipes, Minion, Minion Pipe, Yellow One Eyed Cartoon Character.